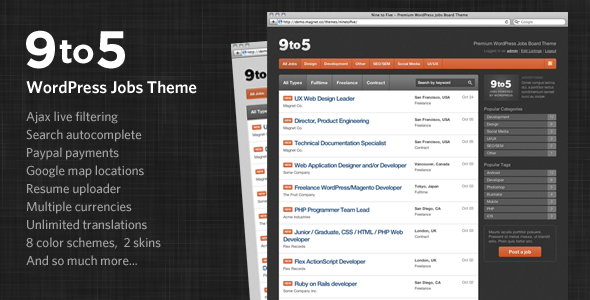 I was recently alerted to a new wordpress theme for a job board. Its called JobEngine. 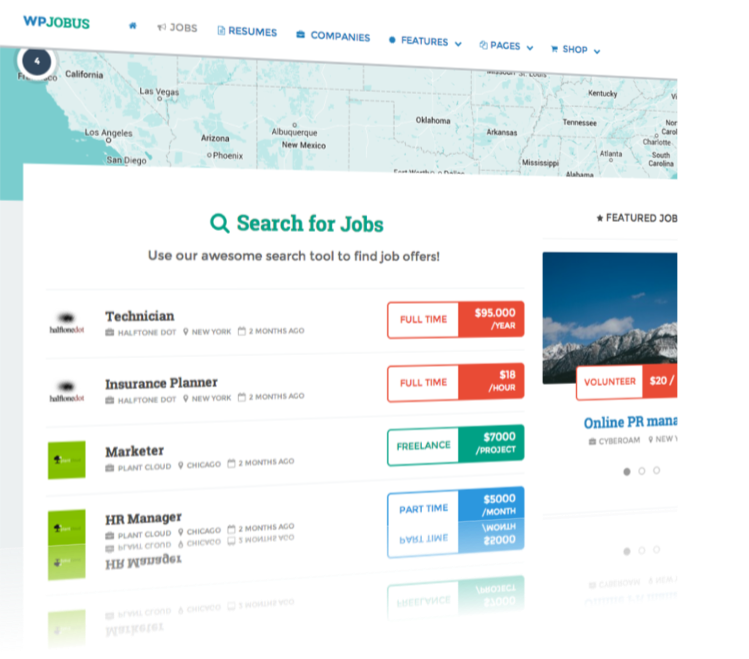 According to its creator, “JobEngine – a Jobboard wordpress theme which is designed based on the needs of Job recruiter, and job hunter.” It does have a mobile friendly version which is essential for job boards today. 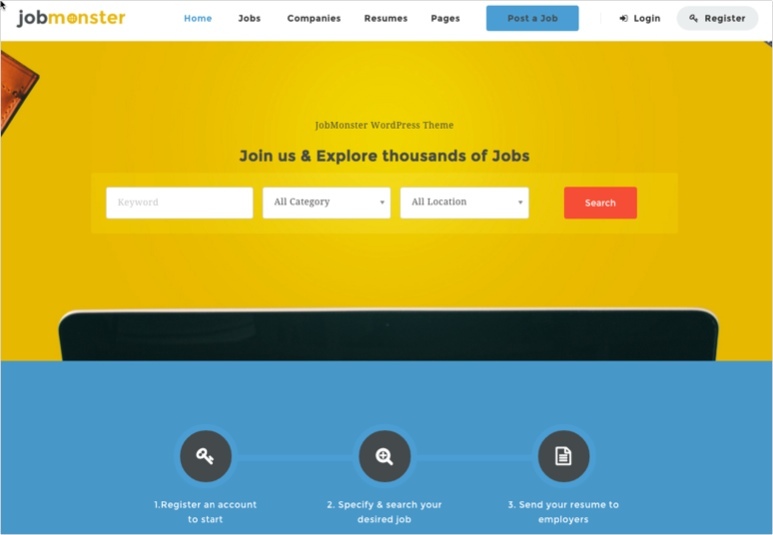 JobJockey is a premium WordPress theme. 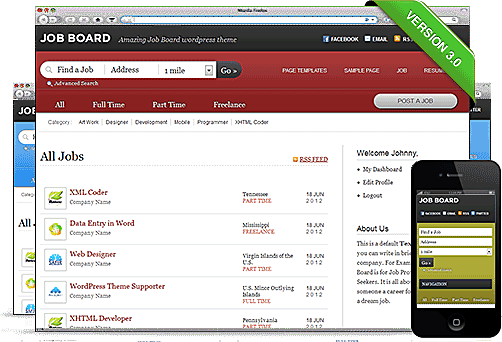 Joining the ranks of Jobpress and JobRoller, a new wordpress theme for job boards is out. Its called JobJockey. Price is $69 which is the cheapest of the 3 templates. It doesn’t appear to support backfill from the aggregators but its a nice looking template. View their demo. The latest version of JobRoller is now available. This release (1.5) includes several bug fixes, new features, and an important Indeed integration change. Please read this entire email before performing the upgrade as not everyone may wish to do so. I use this software on Audio Jobs if you want to see it in action. Below is an email update I recently received from them. The most notable changes in 1.5 have to do with the Indeed integration and a new resume (CV) subscription monetization feature. 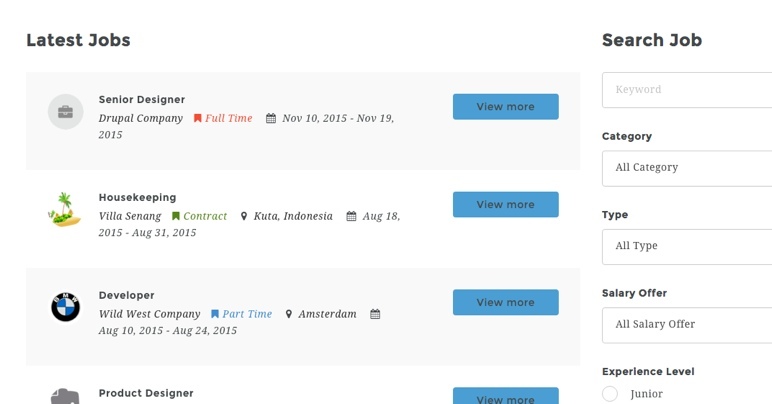 As you know, JobRoller pulls in job listings from Indeed.com. As powerful as the Indeed integration is, their API limits the job description to only 1-2 sentences. This means jobs pulled into JobRoller are pretty bare bones and don’t provide much value. Understandably, that doesn’t work well for most of our customers so we decided to make a change. We’ve been working directly with the Indeed team to figure out the best solution and unfortunately, they were not able to fulfill our request and increase the job description length. With that news, we felt it was best to rework how the integration was done. 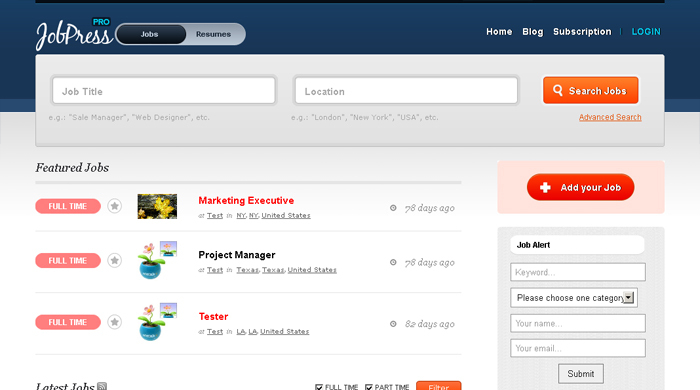 Indeed jobs are no longer being pulled directly into the JobRoller database. Instead, they are dynamically displayed within your existing listings and within search results. This allows you to still monetize your site with Indeed listings and keep your JobRoller database filled with only user-submitted jobs. Existing Indeed jobs in your JobRoller database will not be affected. If you wish to continue pulling Indeed jobs into the JobRoller database, you should not upgrade to 1.5. Honestly, we feel there is no reason to hold back since the Indeed jobs are still being displayed — just not stored in the database. 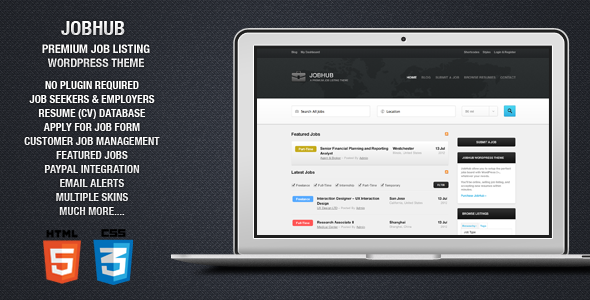 With 1.5, we’ve introduced a new way to monetize your site. There’s now an option to charge a subscription fee for browsing your resume database. This was one of the most requested features so we felt it was important to add in this release. 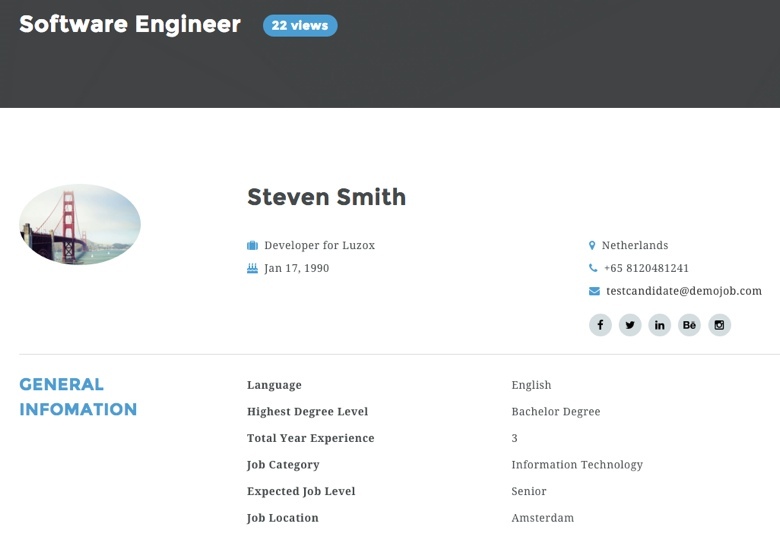 You can also now search the resume database with the same powerful radius search used on the job listings. The radius distance drop-down allows you to refine your search based on location. In order for this to work, a new location field has been added to the resume submission process. This captures the longitude and latitude coordinates so the radius search works correctly. 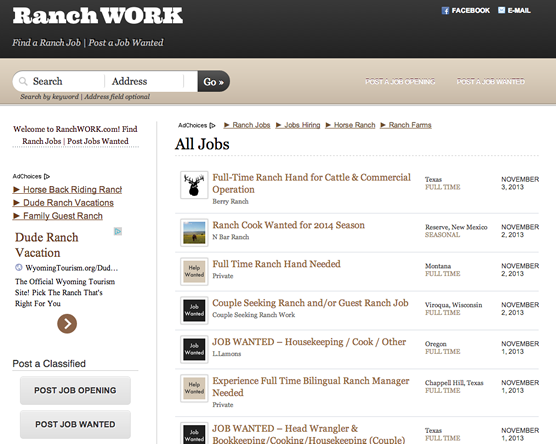 New wordpress job board plugin! 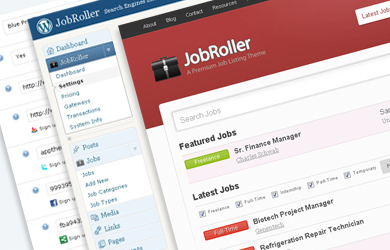 WordPress plugim company Appthemes has published a new job board software plugin called JobRoller. It is available for $69 – $199 depending on the version you get. It has a pretty solid interface which these plugins all seem to do well at. But there is no support for backfill and the only payment option appears to be Paypal. Click here for the demo site to see it in action.